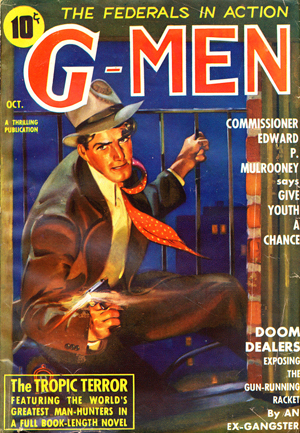 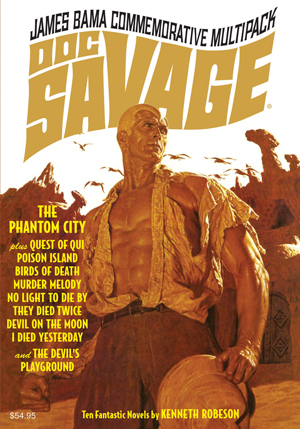 The pulps’ greatest superhero returns in two action-packed thrillers by Lester Dent writing as “Kenneth Robeson.” First, after Johnny Littlejohn disappears in Cairo, Doc Savage journeys to the Land of the Sphinx to discover the strange secret behind “The Pharoah’s Ghost.” Then, the Man of Bronze is accused of murder when “The Man Who was Scared” is killed in Doc’s own offices! 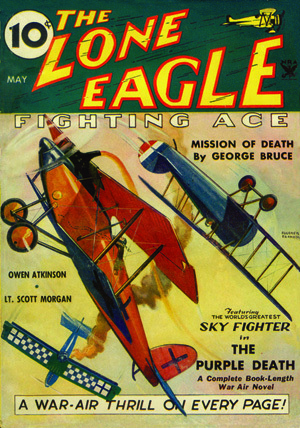 PLUS a Bill Barnes novelette by Charles S. Verral, a never-published article by Lester Dent and a classic illustrated story from the Golden Age of Comics. 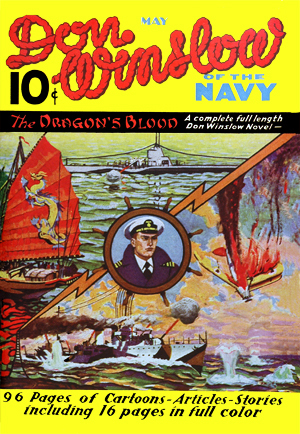 This instant collector’s item showcases both classic color covers by Modest Stein and the original interior illustrations by Paul Orban with historical commentary by Will Murray, author of sixteen Doc Savage novels.